Offaly's Cillian Kiely claimed the M Donnelly All Ireland Pic Fada Senior crown in the Cooley Mountains on Saturday. 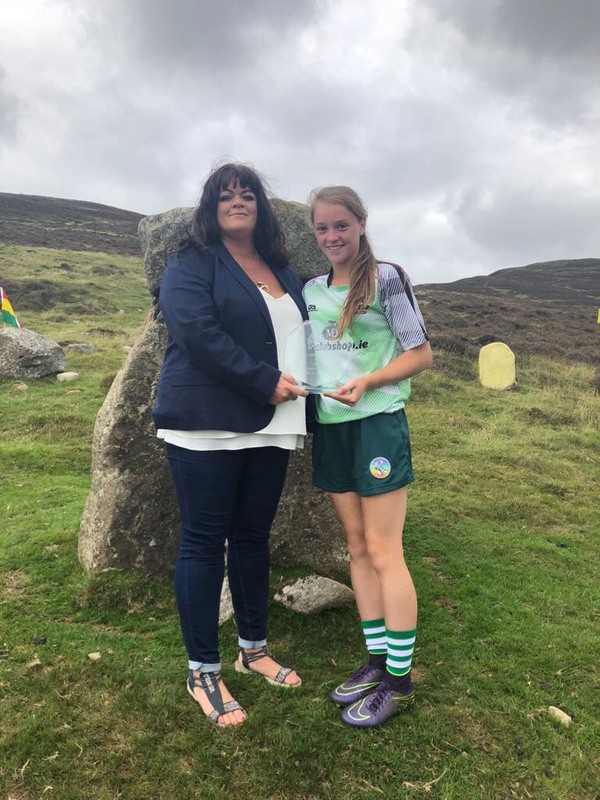 A previous two time winner at Under 16 level, the Kilcormac/Killoughey clubman completed the course with 48 pucks to earn the title on the Annaverna mountain. There was further success for Offaly and Kilcormac/Killoughey with Jane Lowry coming third in the U-16 Camogie competition. Vice-Chairperson of the Camogie Association presents Jane with her third place prize at the Puc Fada.